Generates the spike function for any real number. 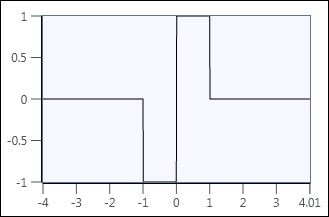 Value of the spike function for the given value of x. The following illustration shows the graph for spike(x) - spike(-x) in the interval (-4.0, 4.0).